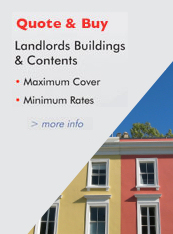 FLS is an independent Tenant Referencing Company providing credit reports and associated services to letting agents and landlords throughout the UK since 1992. We have a range of services to suit your needs and you will be able to track the progress of all your applications using our online tracker service. FLS has a loyal, expanding client base with an excellent service record and we pride ourselves on an exceptionally low fail rate. We enjoy good, ongoing working relationships with our clients and we are committed to meeting and exceeding their expectations. See how FLS can help you to improve your application processes and minimise exposure to problem tenants. Ensure you choose the right tenants for your property and reduce risk with our range of insurance products. Your rental application is being handled by FLS. Find out more about the process and how we can help you.
" Sheens have used FLS for over a year now and we have been impressed by their prompt service. We mostly use the Full Profile service and our referencing reports are delivered to us by email, ..."